Octopus Energy for Business and Octopus Electric Vehicles (EVs) have announced the launch of a new supply service tailored specifically for charge point operators and transport companies. 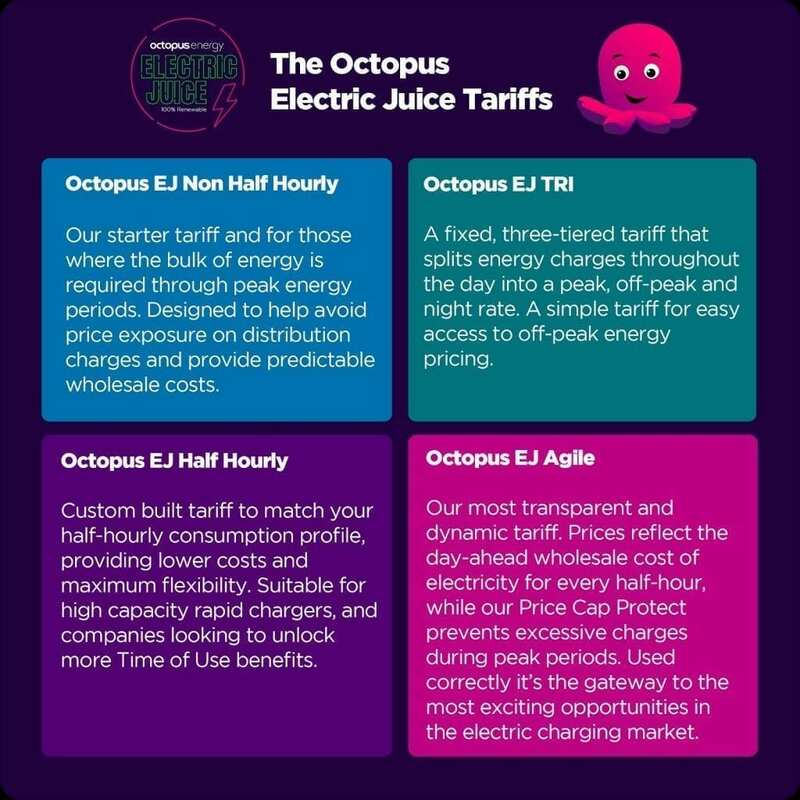 Electric Juice is 100 per cent green energy service consisting of four separate tariffs designed to help transportation businesses “access the best electricity prices”. Last year, the green energy technology company consulted with more than 20 EV charge point companies and identified common frustrations experienced in securing flexible green energy. Electric Juice was then created to offer companies data-led analysis. As well as this, the four tariffs can be utilised as networks grow in number of sites and in their consumption of energy. The tariffs offer shorter and more flexible contracting terms to provide customers with the ability to move between them. A six-monthly review will take place to ensure the businesses are on the right tariff structure. Zoisa Walton, Octopus Energy for Business director, said: “A significant barrier to securing our electric transport future is the availability of suitable charging infrastructure. “We wanted to support those innovators who have already or are looking to enter the EV charging space in the UK by helping them access the best electricity costs to build into their business models. Greg Jackson, chief executive of Octopus Energy, said: “In the past year, we are seeing a massive increase in demand for this type of renewable supply and smart tariff across all electric transportation from bikes and cars, to trams and train networks.